Traffic Solutions promotes and encourages alternatives to driving alone, with the goals of reducingtraffic congestion, air pollution and vehicle miles driven as well as improving the quality of life for employees, visitors, and residents of Santa Barbara County. Commuting Solutions Buttons will take you to the traffic solutions website. Service Traffic Solutions maintains a database of commuters interested in carpooling and offers a free online matchlist service that provides an instant list of commuters with a similar commute and schedule. For those without computer access, a commute consultant is also available to help create a personalized match list by calling the Traffic Solutions help line at 963-SAVE. You will be redirected to the Traffic Solutions website. 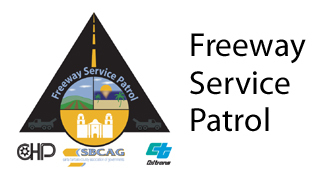 In April 2004, SBCAG Traffic Solutions selected Telecommuting Advantage Group (TAG) to launch the FlexWork Santa Barbara Pilot Program. TAG is a leading telecommuting and flexible work schedule technical consultant that works with both large and small companies, government agencies, universities and hospitals to develop, implement and monitor FlexWork programs. 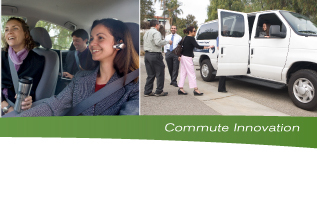 SBCAG Traffic Solutions offers vanpool subsidies for newly formed vanpools and maintains a list of Santa Barbara County destined vanpools available to commuters. 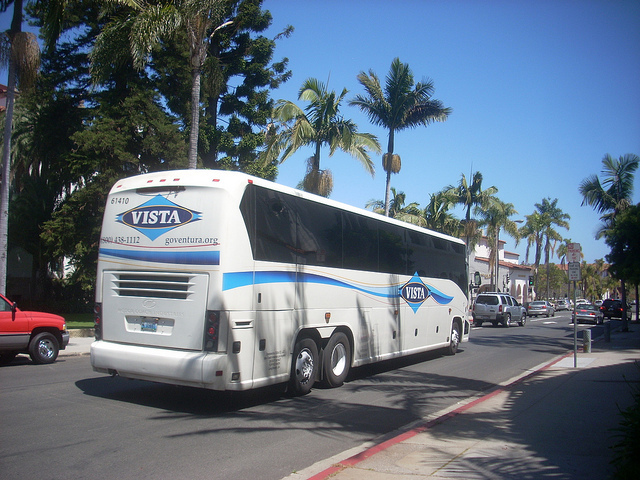 The Coastal Express is an intercounty transit service operating between Ventura and Santa Barbara Counties that is jointly managed by SBCAG and the Ventura County Transportation Commission. The Coastal Express operates seven days a week in both directions and added brand new buses on all routes in 2003. 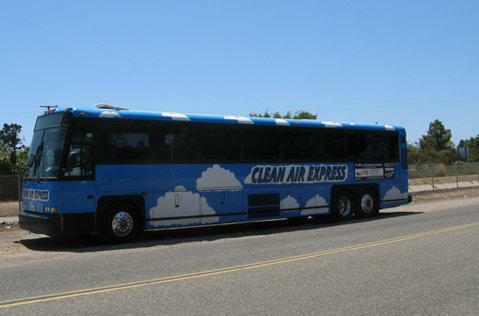 The Clean Air Express is a weekday commuter bus service offering transportation from Santa Maria, Lompoc, and Buellton to Goleta and Santa Barbara. Managed by SBCAG Traffic Solutions, the Clean Air Express carries over 100,000 passengers annually and in 2003 eliminated 12 million vehicle miles traveled, helping improve regional air quality and reduce traffic congestion.